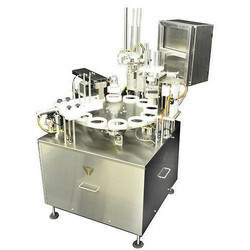 We are among the leading manufacturer and supplier of the high quality Volumetric Filling Machines. We offer these at the market leading prices. We manufacture these in compact designs. 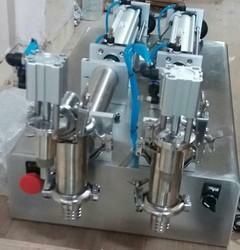 Being a customer oriented organization, we are deeply engaged in offering a wide array of Overflow Filling Machine. - Gear Box: Radicon/Elicon/Crofts make. - Output: 700 to 2000 Bottles/hour. (depending up on the capacity).